A coming of age story about learning to live nobly in a world of unfairness. People can be broken physically, emotionally and psychologically and few go through life avoiding being harmed in some way. 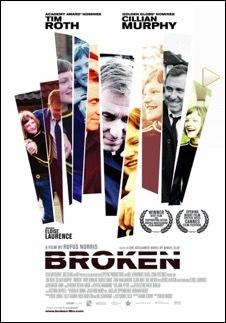 The 2012 film Broken, adapted from the 2008 novel by Daniel Clay, portrays many different ways humans can suffer. At the centre of the film is a coming-of-age narrative, about an 11-year-old girl known as Skunk (Eloise Laurence) who experiences the cruelty and unfairness of life when she witnesses an act of violence. Within Skunk’s own home and that of her two neighbours, in a small cul-de-sac in suburban England, people are being broken in different ways. As the film unfolds, seamlessly portraying the joy of childhood with the terror of a community made to feel vulnerable, Broken questions why people are damaged and how they can be healed. What emerges is a film that can be shocking, but also deeply comforting in its belief that the truehearted can prevail.